The church of the Sacred Heart is a Grade II listed building and is unusual in two respects: it was originally an Anglican church and is now Catholic and it was built by a private person at his sole expense and was subsequently bought and endowed by another individual, albeit the Roman Catholic Bishop of Hexham and Newcastle. The church was built in the mid 1860's and probably opened when the new ecclesiastical district of North Gosforth was established on 18th May 1865. The donor was Thomas Eustace Smith of Gosforth House who responded to the wish of John Besley vicar of Longbenton to provide for the spiritual needs of the growing population in the north of his extensive parish. Eustace Smith as he was commonly called was the only son of William Smith of Benton who had inherited in 1856 the Gosforth Estate from his elder brother Thomas who had bought it from the Brandling family in 1852. The Smiths were rope manufacturers, ship repairers and ship owners trading with India, the firm being later known as Smiths Dock Company. Eustace Smith and his wife Martha Mary Dalrymple were married in Haddington church in 1855, they had four sons and six daughters each of the latter being given Mary as a second name and they named the church St. Mary's. The Smiths were patrons of Pre-Raphaelite and other artists. The Church is in the Early English style with chancel, nave of four bays, two aisles and a short tower. Its smooth stonework and regular features give it a pleasing exterior appearance while internally there is an agreeable matching of stone arches with warm brick walls patterned in bands of chevrons and other linear designs. The identity of the architect is unknown but as the church bears many similarities to that of Baldersby St. James in North Yorkshire built in 1855 to 57 by William Butterfield (1814 to 1900) for Viscount Downe it may have been designed by Butterfield or by one of his pupils. The church also has a beautiful slender arch at its west end and there is a three light window in the tower at the extreme west end of the church with modern stained glass. The church is self-evidently incomplete lacking finish to some of the exterior and interior stonework, while the tower is merely a capped stump without even a parapet. The tower however does have one unusual feature namely four deep statue niches now occupied by Catholic statues. It has been suggested that possible ground subsidence prevented the tower being taken higher but the other evidence of incompleteness invites other explanations. The dominating feature of the church is its beautiful east window which is one of the best examples of William Morris stained glass in the North East of England. This window two other windows in the chancel and one each in the north and south aisles are fine examples of the stained glass of William Morris and Company from designs by three of the foremost Pre-Raphaelite artists: Edward Burne-Jones, Ford Maddox-Brown and William Morris himself. These windows were probably installed between 1872 and 1875. Thomas Eustace Smith (1831-1903) not only built the church costing over £12,000 and a schoolhouse but he also partly funded the living; the ministers (perpetual curates) serving the colliery villages of Hazlerigg, Weetslade, Brunswick, Wideopen and Seaton Burn. The church was never consecrated in its Anglican days Eustace Smith, who was Liberal MP for Tynemouth from 1868 to 1885, fearing that if it were consecrated he would lose control to the Diocese of Durham, particularly if the Church of England were to be disestablished. Thus no baptisms or weddings could be celebrated and indeed the church seems to have had no font even in its early Catholic years. The church is sited on what was the extreme north west corner of Gosforth Park Estate as close to the population as was possible but unfortunately not close enough to satisfy the needs of the residents of the area for whom the church of St. Columba in Seaton Burn was built in 1870 and also served by the curate of St. Mary's. 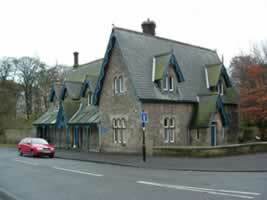 Eustace Smith sold the Gosforth Park Estate to the High Gosforth Park Racecourse Company in 1880 but retained the church and the living throughout his life. With the increasing use of St. Columba's only occasional services were held in St. Mary's until it was eventually closed in the early 1900s. Several stories some probably apocryphal are told about the acquisition of St. Mary's by the Roman Catholic Diocese of Hexham and Newcastle. The church had been unused for many years and the grounds overgrown. The Smith family approached the Church of England which showed no interest in buying it. Bishop Richard Collins (1857 to 1924, Bishop of the Roman Catholic Diocese of Hexham and Newcastle from 1909) however was attracted to it and after negotiations with the family, Mrs Smith being still alive (she died in 1919), he bought it for £3000 with his own money. On opening the new church of St. Charles in Gosforth on 10th December 1911 the Bishop announced that the church of North Gosforth would be opened in the new year. The Bishop himself said the first Mass in the church on 28th January 1912 and it was formally opened and dedicated to the Sacred Heart on 24th June. Bishop Collins clearly had a great affection for the church as in the private instructions attached to his will he left over £2000 and other investments to build and maintain a presbytery and for the parish generally and he also allocated a bequest of some £1000 given to him for poor parishes by Ellen Harding to the Sacred Heart and Masses were said for her soul until 1948. The Bishop who died in 1924 also left his furniture and collection of pictures for the priest's house suggesting that some of the pictures be put in church. Thus Bishop Collins is justifiably regarded as the second donor of the church and the main benefactor of the parish. Until 1926 the parish was served by a curate of St. Aidan's Benton (1906) Fr. George Jeffreys who was also chaplain to the Good Shepherd Convent being the first priest in charge. In 1926 the Racecourse Company offered the school house (shown on the right) as a possible presbytery which would have considerably enlarged the church grounds but instead No. 10 Woodlands Park was bought and remained the presbytery until the present house was built. Photographs of the church in 1913 and c.1930 show it to have been very plainly furnished the benches and the organ being probably acquired with the church. The c.1930 photographs show at least seven of the Bishop's pictures in place and statues of Our Lady with the Child Jesus and of St. Joseph in front of each of the chancel pillars. The Diocesan Archives refer to a proposal in 1930 to erect a new high altar as a memorial to Bishop Collins. There were also altars to Our Lady and the Sacred Heart and a pieta bearing the names of parishioners killed in the 1914-1918 War in the north aisle (the plaque is now in the Blessed Sacrament Chapel). The church was re-roofed in 1913 and again in 1934. But even with these additions the church changed little from its Anglican days until the second half of the century. Following Vatican II Fr. Edward Ord made a few changes to meet the essential requirements of the new liturgy then only in transition, but in 1986 the church interior was wholly transformed. The chancel was enlarged and a new stone altar lectern and priest's chair were placed at the front facing the congregation. The organ was placed where the high altar had been, a Blessed Sacrament chapel was created in the north aisle and at the west end of the Church a gallery was built over the end bay extending into the tower at the first floor level. Beneath this and under the tower was constructed a day chapel with a new window in dalle de verre style (slab glass) with the figure of the ‘Risen Christ’ designs and work of Ralph Pattisson architect and Virginia Pattisson artist. 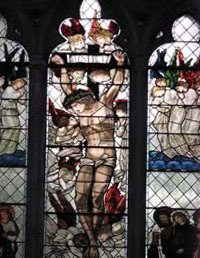 Later additions include stained glass in the main west window designed by Paul Gannon of Whitley Bay in 1987 showing Our Lord's Resurrection (centre light), Mary Magdalene and the other women taking spices to the tomb (on the right) and St. Peter, St. John and Mary Magdalene (in the left light). This window is dedicated to the memory of Margaretta Jane Larkin and was erected by her husband. Ten years later in 1997 another beautiful feature of the church was being formed. Parishioner Paul Drummond finding himself with some time on his hand, put it to great use by designing and painting the 25 tiles which are fixed to the ceiling above the altar. These tiles incorporate the history of the Church, English Roses and Ancient Northumbrian History with the water of life which includes a cup and ring design which can be found on 3000 year old stones in the Cheviots. While the panel depicting the four gospel writers are copied from the Lindisfarne Gospels and are centred around the Word of God panel. With the residential development of Brunton Park, Melton Park, Woodlands Park and Wideopen generally after the 1939-1945 War the Catholic population gradually increased and under the inspiring leadership of Fr. 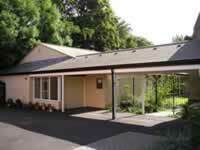 Tom Cass Sacred Heart became a thriving parish community and a spiritual centre attracting all christians to its regular and special services. However while the parish itself was growing the Sacred Heart Primary School established in Brunswick Village in 1973 had to be closed in 1995 but the children now attend St. Oswald's School in Gosforth. A new parish hall linked to the church was erected in 1999. The Anglican clergy and Catholic priests who have served the church and parish are listed here. As a footnote it is interesting to note that two members of Eustace and Mary Smith's family became Catholics. These were Helen Harrison their second daughter and Virginia Crawford their fourth. After her conversion in 1889 Virginia Crawford devoted herself to Catholic and other social work being a founder member and secretary of the Catholic Social Guild, a Poor Law guardian and first Labour woman borough councillor in Marylebone. She also founded a home for unmarried mothers and campaigned for women's suffrage. She wrote extensively on social topics, European literature, Italian art, Poor Law reform, women's rights and against Italian fascism. Her last work a life of Frederic Ozanam was published the year before she died aged 85 in 1948.